Only 10 days to go and the premiere of Agents of S.H.I.E.L.D. on ABC will gather all the fan boys and girls once again. The previous seasons have been an all-out treat with strong interconnection and references to Marvel's cinematic universe, clearing up some of the tiny loose-ends along the way. Clark Gregg, Ming-Na Wen, Brett Dalton, Iain De Caestecker, Elizabeth Henstridge, Chloe Bennet will be back for this season. And I am excited already for what is in store for us this time. I am definitely looking forward for the show comic reliefs and cinematic tie-ins. 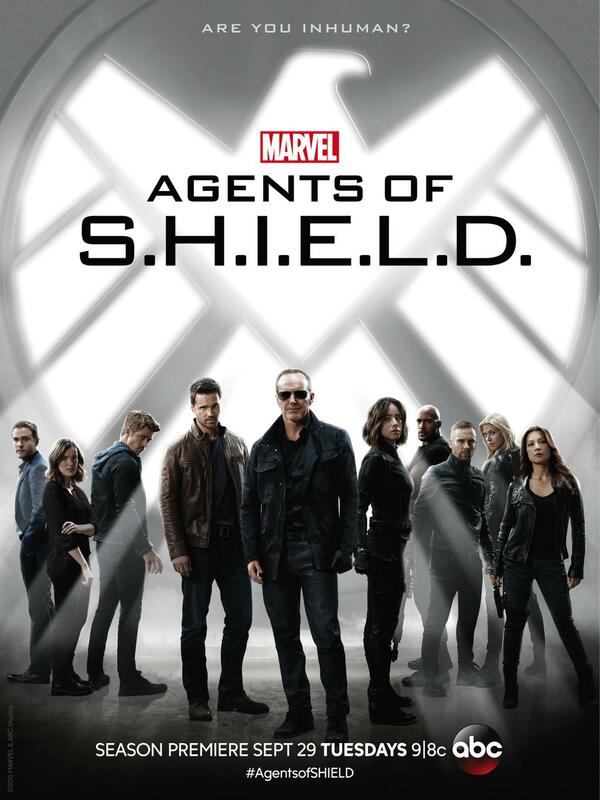 Checkout this new promo trailer of Agents of S.H.I.E.L.D. Season 3. Marvel’s Agents of SHIELD returns for an action-packed third season, with Director Phil Coulson (Clark Gregg) and Agent Daisy Johnson (Chloe Bennet) leading the charge as S.H.I.E.L.D. searches the world for more powered people in the aftermath of their epic battle with Jiaying and her army of Inhumans. However, Coulson and the team soon find out that they are not the only group looking for these new Inhumans. Agents of S.H.I.E.L.D. Season 3 premieres September 29, 2015 on ABC.